A series of product videos were developed to support and promote new products launched for 2018. New product videos introduce features such as ULED technology, Android TV, Motion Rate tech, Karman Harton audio, Google assistant and Alexa. In total, six videos were produced respectively for H9+ series, H9, H8, H6, Roku R7, R6. The project was designed to promote American Red Cross’ CPR, First Aid, and AED certification program. 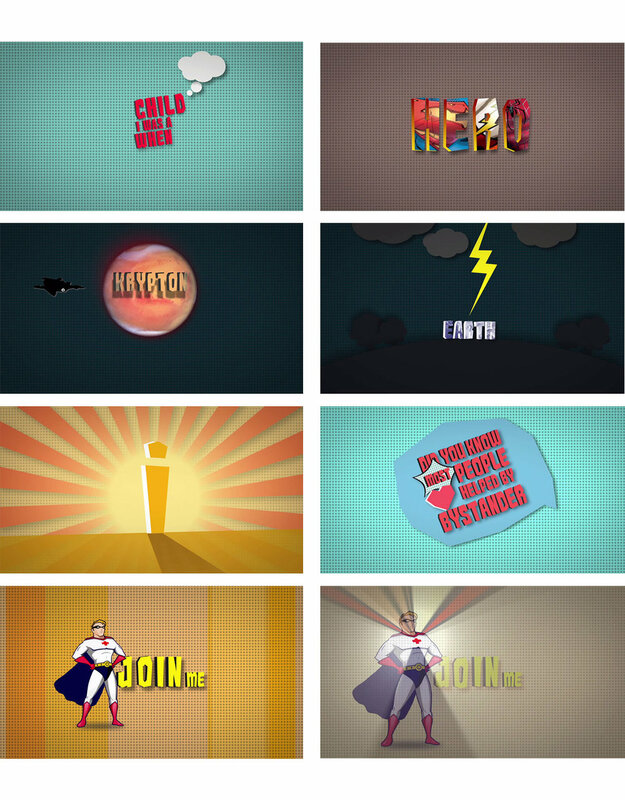 The concept of the video is to use a light-hearted tone to express the idea that not anyone can be a superhero, but by taking part in the program and receiving the certification, ordinary people can also save other people’s lives at a critical time, just as superheroes do. This project included copy writing, voice-over recording, storyboarding, and motion graphic design. This school project was to choose a Wes Anderson’s movie to redesign its opening/ending title. The Grand Budapest Hotel was chosen for the project. The redesigned title was inspired by the colors from the original movie and the eccentric character of the movie. The concept was to use various scenes gradually guiding audiences from outside the hotel to the inside, eventually reach the reception. Silhouette style was used to keep graphics simple but interesting.